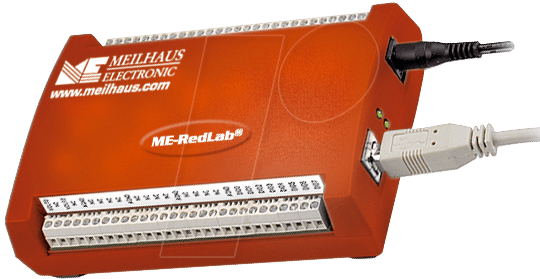 This model in the RedLab series was specially designed for analogue output. It has 16 analogue outputs with 16-bit resolution. A bi-directional synchronisation pin makes it possible to simultaneously update the D/A converter outputs on several modules. In addition, there are 8 digital I/O channels and a 32-bit event counter.